Zero to Three works to ensure that all babies and toddlers have a strong start in life. 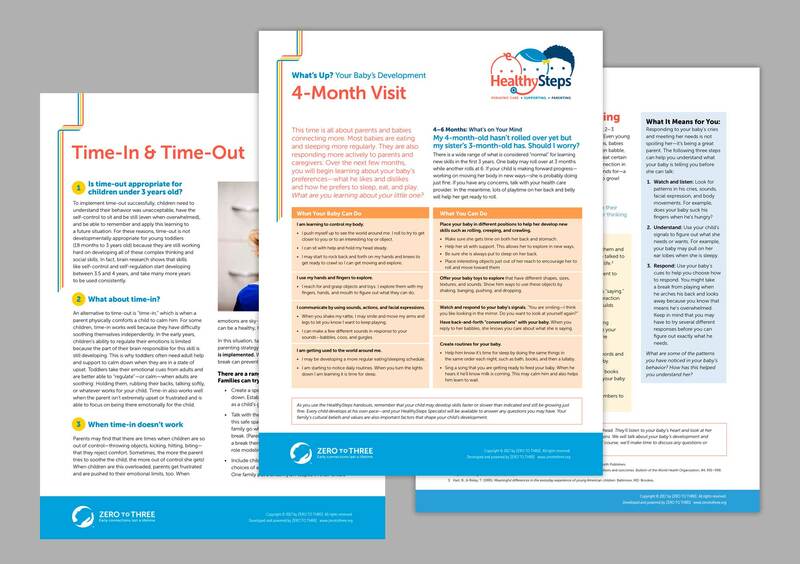 Of their many programs and initiatives, I was tasked with designing various communications materials for their HealthySteps program which works with pediatricians to help families identify, understand and manage parenting challenges. 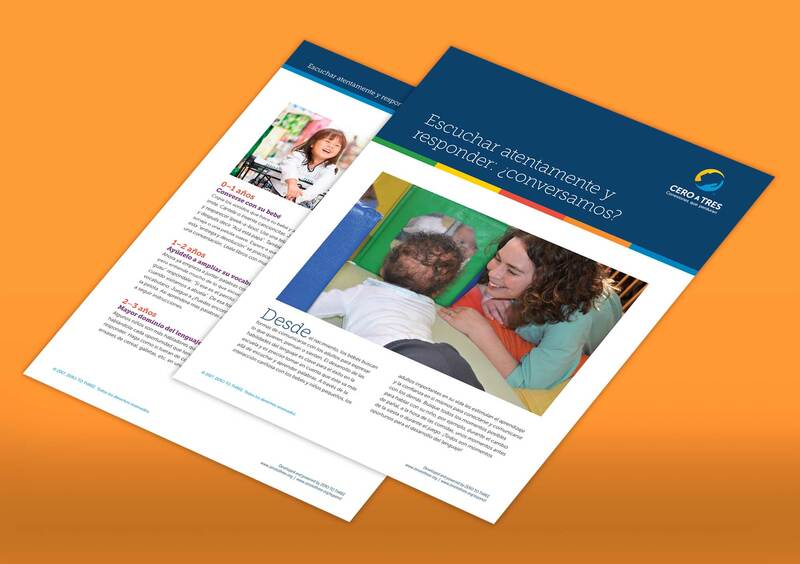 My long-term and on-going relationship with Zero to Three has allowed me to design everything from brand standards to bilingual (Spanish/English) communications materials.